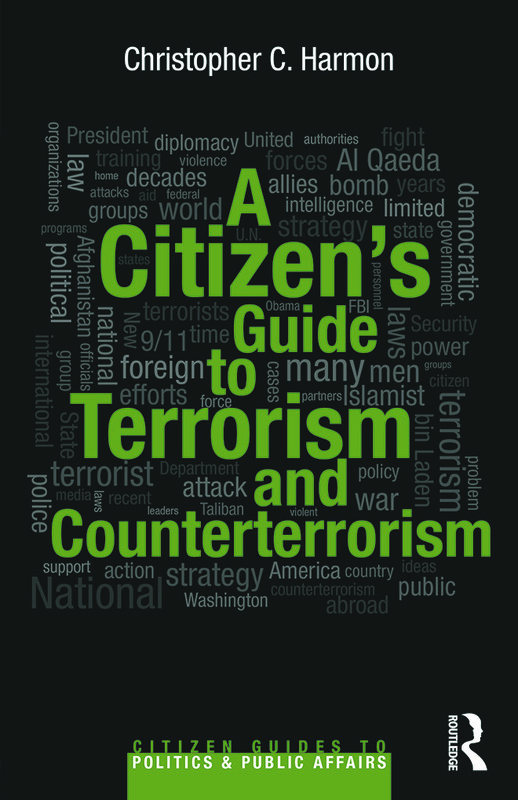 This Citizen’s Guide addresses the public policy issues of terrorism and counterterrorism in the United States after Bin Laden’s death. Written for the thinking citizen and student alike, this succinct and up-to-date book takes a "grand strategy" approach toward terrorism and uses examples and issues drawn from present-day perpetrators and actors. Christopher Harmon, a veteran academic of military theory who has also instructed U.S. and foreign military officers, organizes his book into four sections. He first introduces the problem of America’s continued vulnerability to terrorist attack by reviewing the long line of recent attacks and attempts against the U.S., focusing specifically on New York City. Part II examines the varied ways in which the U.S. is already fighting terrorism, highlighting the labors of diverse experts, government offices, intelligence and military personnel, and foreign allies. The book outlines the various aspects of the U.S. strategy, including intelligence, diplomacy, public diplomacy, economic counterterrorism, and law and law-making. Next, Harmon sketches the prospects for further action, steering clear of simple partisanship and instead listing recommendations with pros and cons and also including factual stories of how individual citizens have made a difference in the national effort against terrorism.